Scott Boudin Festival and Boudin News! 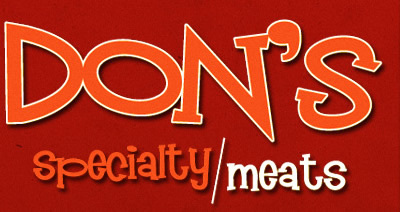 -- We rank Don's Specialty Meats as a great boudin spot because of their devotion to quality and consistency. Really, no one does it like Don's. Owner Mark "Aubrey" Cole oversees a spotless specialty meat shop/deli/store that has something for everyone. The boudin is meaty and succulent with plenty of rice and a serious peppery kick. Last year alone the store sold 764,000 lbs of the boudin. The Scott location opened in 2005 and its comfortable indoor and outdoor seating, along with its first-rate Cajun food, make it an essential stop. Don's began in Carencro, Louisiana, in 1993 and that small store is under renovation after a fire in 2016. There can be little doubt that Don's sells more homemade boudin and cracklin than anyone else in the entire state and at times it feels a little too popular (if you know what we mean). If you're lucky enough to get here on a Saturday morning, do yourself a favor and get a pork-chop sandwich too. It is a porky delicacy unto itself. All rights reserved. No part of this website may be used without permission. Robert Carriker 2012. Awesome Inc. theme. Powered by Blogger.